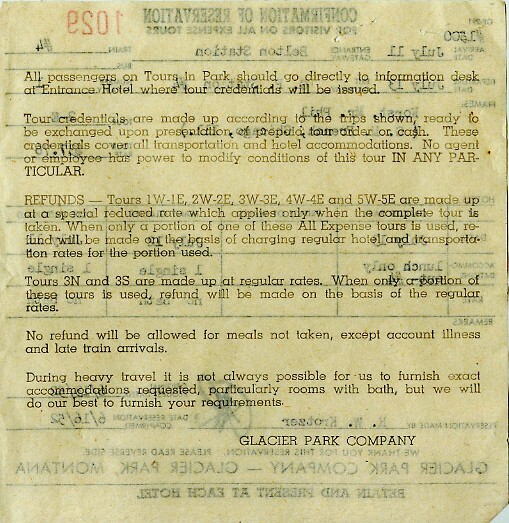 New as of December 2009 are these two ticket envelopes picked up at a local swap meet. 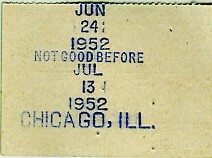 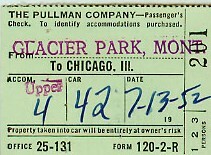 April 1956 Great Domes ticket envelope and ticket stubs for a trip (with Pullman space) from Fargo to Chicago. 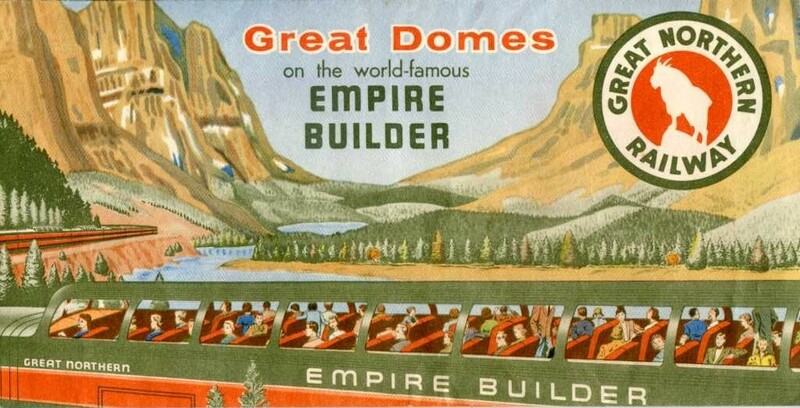 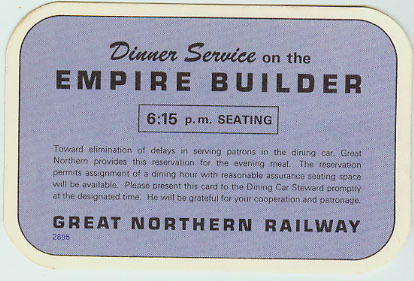 February 1953 Winter version - Empire Builder/Western Star ticket envelope. 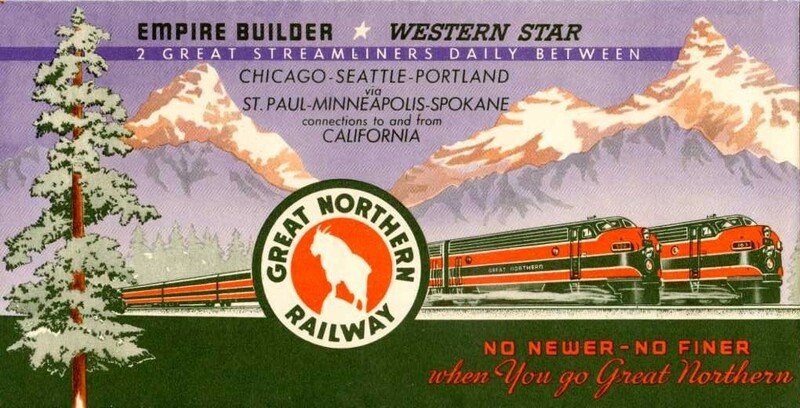 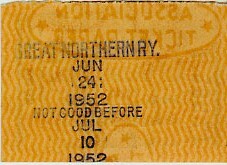 A colorful assortment of ticket envelopes from a trip on the Great Northern circa 1951-52. 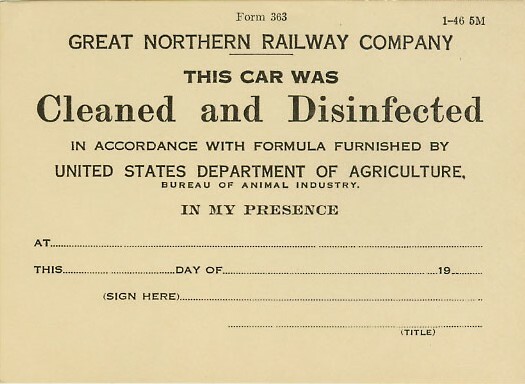 A "cleaned and disinfected" form. 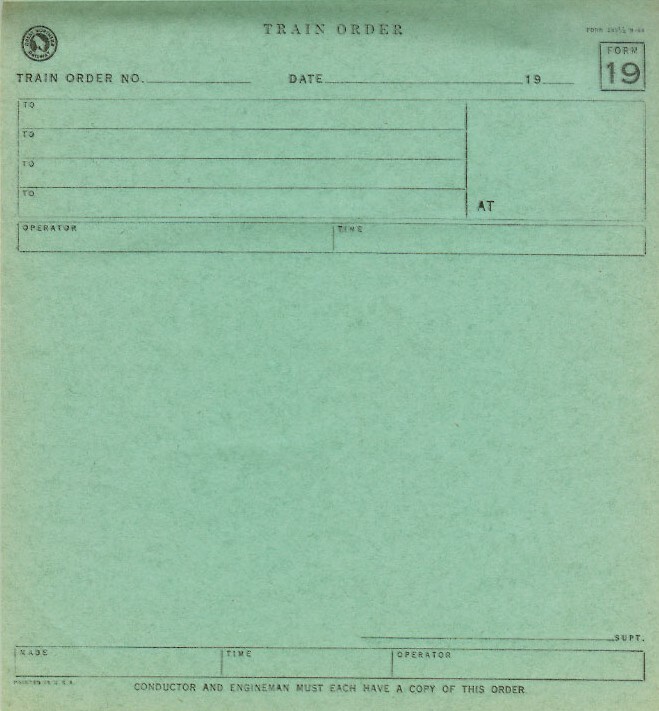 GN Form 19 Train Order "Flimsie". 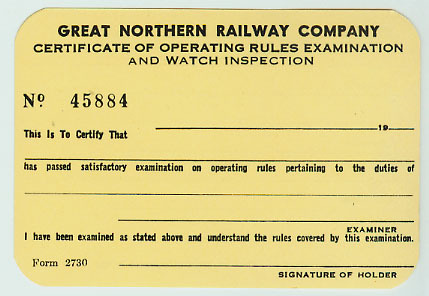 GN Watch and Rules examination card. 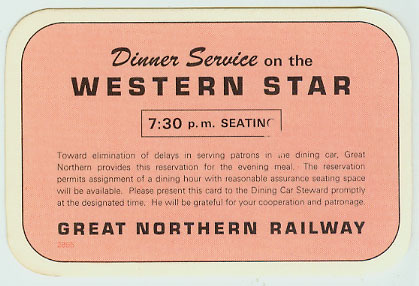 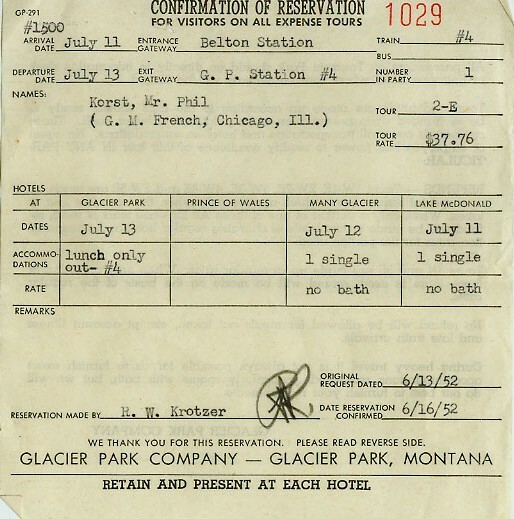 Dinner seating reservation cards from the Empire Builder and Western Star. 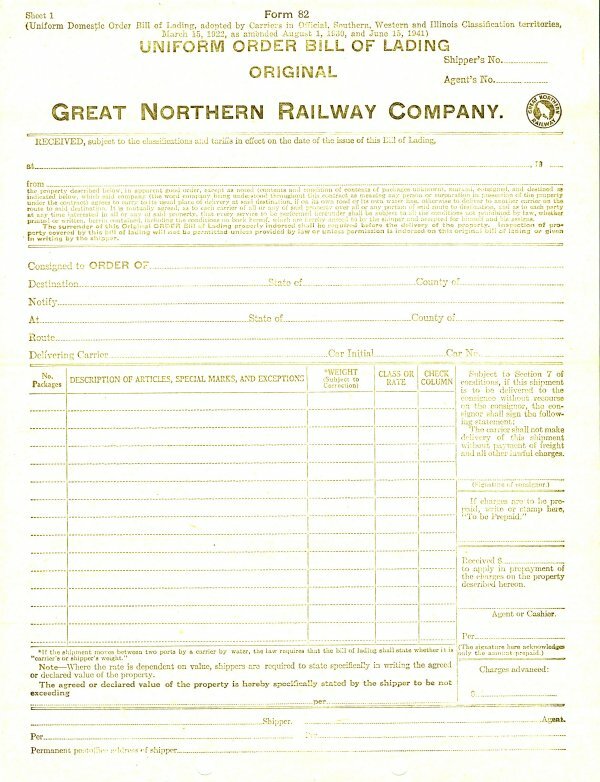 GN Accident Form. 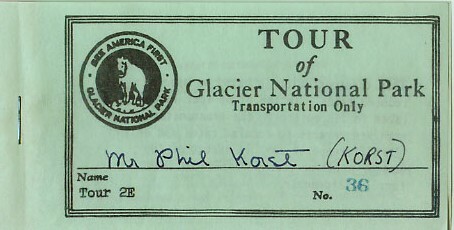 From the collection of Jim Betz. 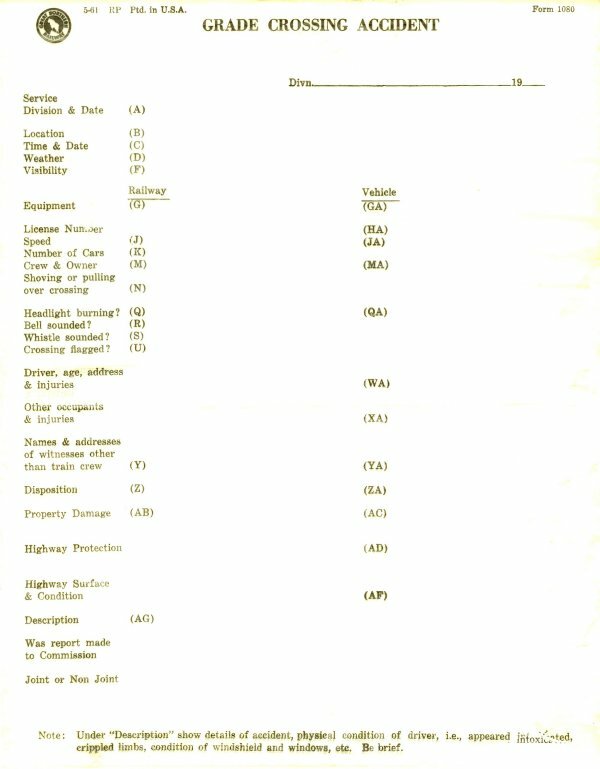 GN Bill of Lading. 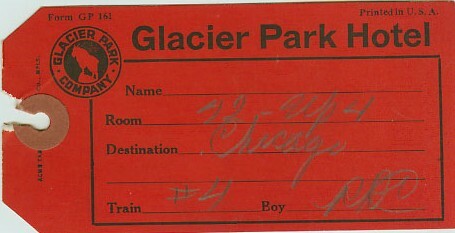 From the collection of Jim Betz. 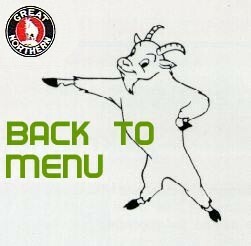 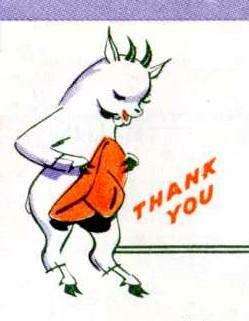 GN Switch List. 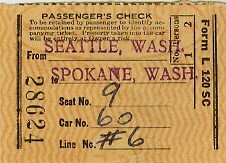 From the collection of Jim Betz. 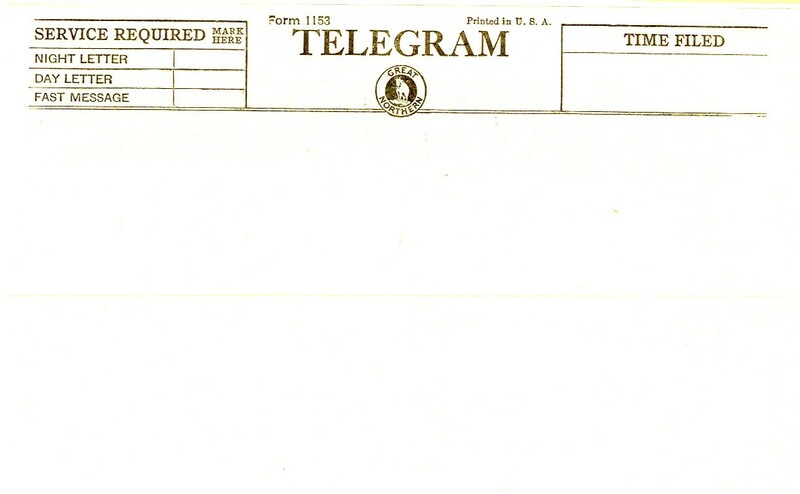 GN Telegram. 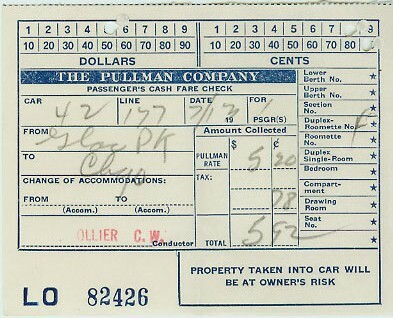 From the collection of Jim Betz.